Guest Blog Series – We’ve asked travel experts to create the best European road trips itineraries. This guest blog post is written by Janice Chung of the popular travel blog, France Travel Tips. Read on to find out where she recommends you visit along the south of France. The journey from Bordeaux to Marseille along the south of France covers just about 600 miles and takes you to a wide variety of sites and experiences. There are so many opportunities where you can discover the world of wine, fortresses, and châteaux, seaside towns with great seafood, and unspoiled hillside villages. Looking for other things to do in France? 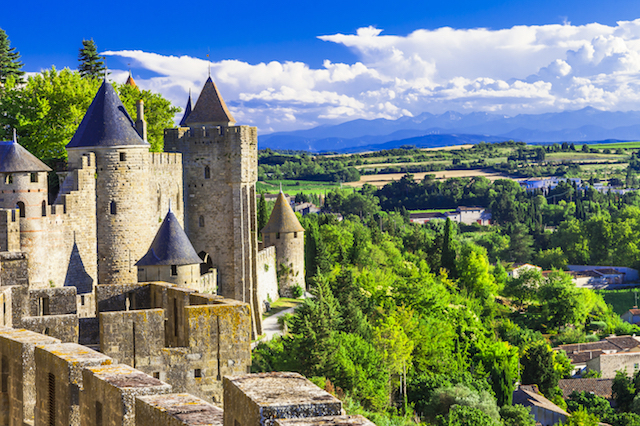 Check out our other Drive to Discover guides where we explore the best road trips in France including a Bordeaux Wine Tour and a Golf France road trip route.